It's been a while since I've posted and it's been so hectic with preparing for Christmas, trying to decorate my daughter bedroom and nursing sick children but dont fret I have still had time to squeeze in some crafty, just as well or I think I would have gone crazy by now. 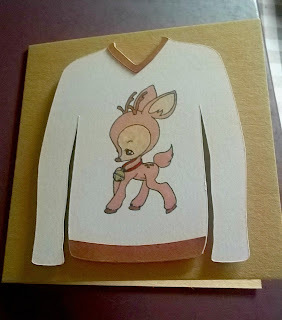 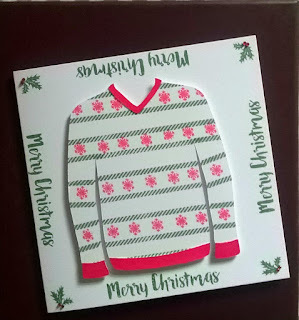 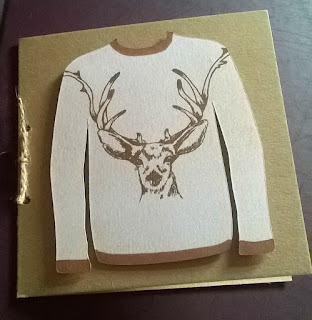 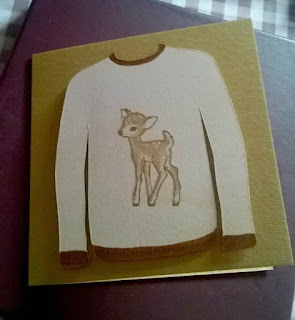 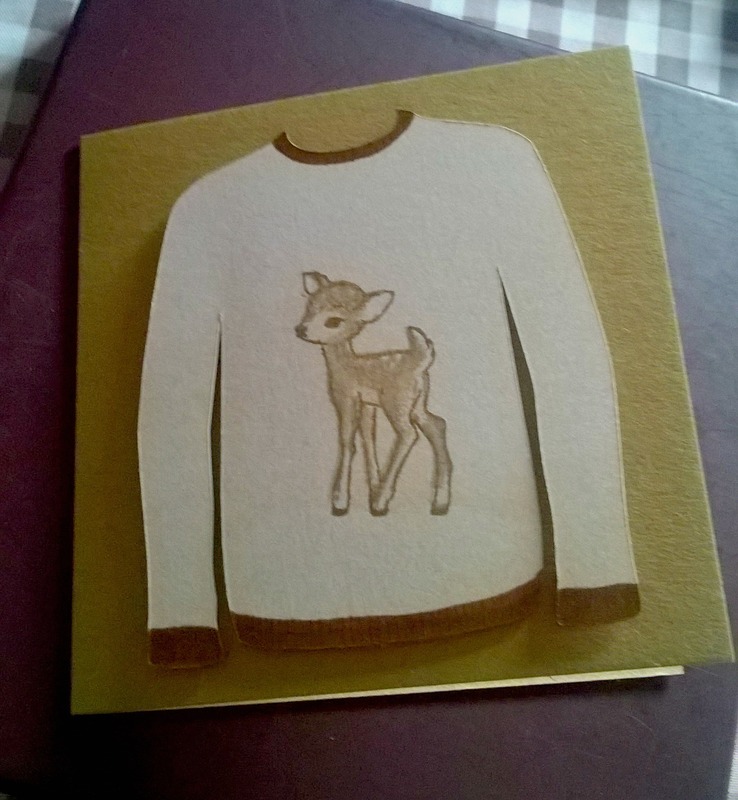 I used various Paperbabe stamp sets to get this look, the jumper itself was cut using my Cricut and an SVG file I found online. 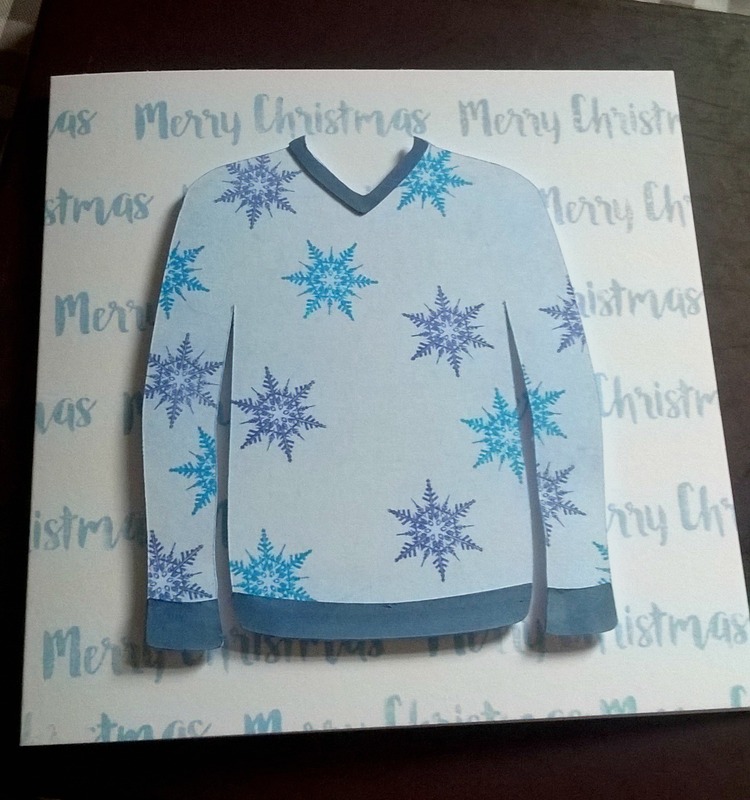 I love the shades of blue on this card. 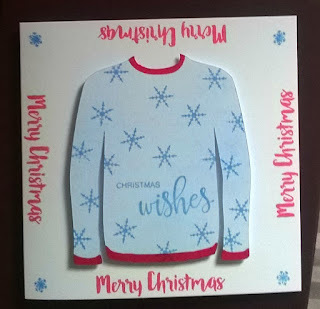 Enjoy the holiday season, eat, drink and be merry.